On a hot sunny day we randomly found ourselves in Sheffield city centre and with a bit of help from my boyfriend and his iphone, managed to track down a whole lot of vintage shops! The back streets along West Street are clearly the place for vintage shoppers! Our first stop was Bang Bang, brightly painted blue and of a decent size, it stocks both men’s and women’s clothing and large amount of accessories including necklaces and bags. It’s decorated really brightly and was great to shop in as everything was clearly laid out and priced. Next on the list was a shop named Flock Boutique, which was located in a ‘mini mall’ called ‘The Common Room’ which was home to a few independent boutiques, all worth having a look around. There were three vintage style shops within the common room, and they all seemed to stock some reworked items, either recycled or new designs. We next found an Antique shop, just called ‘Antique’ stocking an amazing selection of brooches, gem necklaces and gold necklaces. It all looked amazing together! 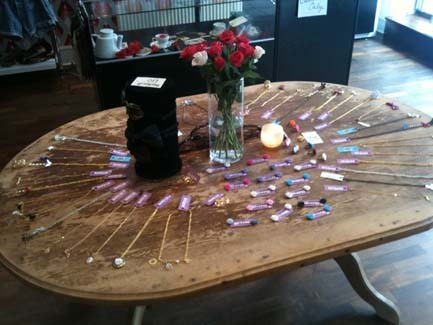 You’ll need to spend a long time in here if you’re a jewellery fan! 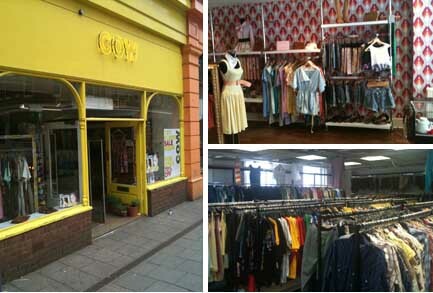 Next we stumbled upon a massive vintage shop, ‘Cow’ which appears to be a chain of stores, as there are also stores in Manchester, Nottingham and Birmingham. This one in Sheffield has two floors, and is all neatly colour co-ordinated so it’s easy to find items if your after something specific, and it’s all reasonably priced. There’s a big men’s section downstairs, stocking shirts, jeans, jackets and boots. More ladies items were upstairs; including a sale room, where everything was £3 or 4 items for £10, this room was great to rummage in (see the pic above)! We also stumbled upon another large vintage shop, down West Street, which seemed to have just been opening as there was a lot of building work and no shop name?? But everything had a set price, dresses for £10, Levis for £10, jackets for £20….seemed like another store that would be good to rummage in. I’ve just returned from a week in Edinburgh, which was a birthday present from my boyfriend. 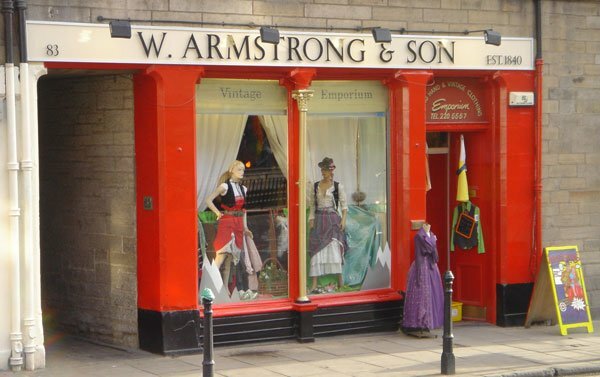 Having been to Edinburgh before, I knew exactly where to head for the best shops! 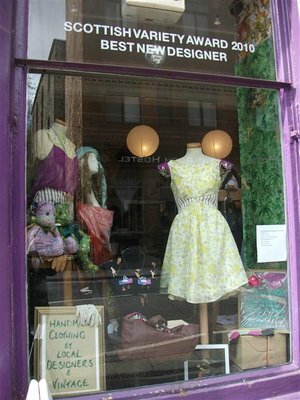 Starting with some of the Vintage shops, the best area is Grassmarket where most of the vintage shops lie. One of the biggest and my favourite to rummage around in being Armstrongs. It’s like an Aladdin’s cave in there with the place decorated with all sorts of wonderful vintage items! I especially like the back room full of women’s clothes, it has sections for everything from theatrical and evening to lingerie…. There’s also a big men’s room, which has loads of cool military jackets. 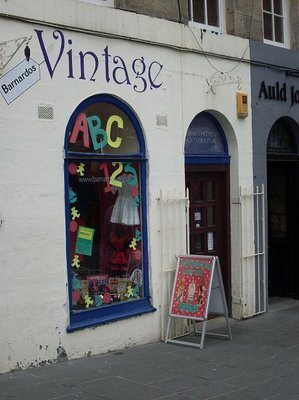 Also nearby is the Barnados vintage shop, Herman Brown and Godiva. Godiva is quite an individual shop, with the front of the shop given to items created and designed by local designers, where you can choose a design and they’ll fit it for you! 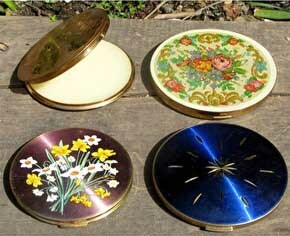 The back section of the shop is full of vintage items alongside a great selection of jewellery. 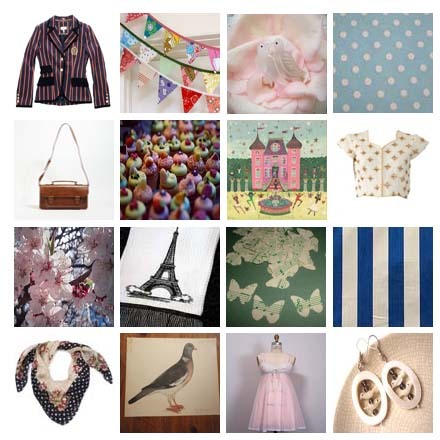 What a fab range of ethically inspired, vintage packaged beauties! I found a link to these by chance whilst taking a look at the ASOS site and what a find! 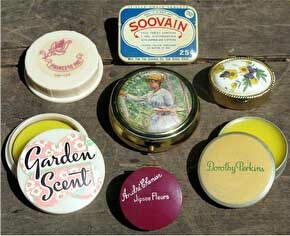 The range is full of ethical, natural and organic beauty balms for face, lips and body all packaged in one of a kind vintage trinkets and bottles. The packaging looks amazing! What makes it even better is that being vintage they are all unique so no chance of having the same one as anyone else! 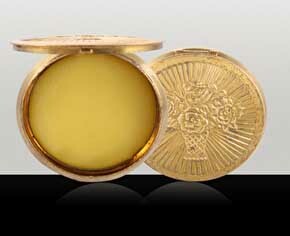 The range is a dream for ethically minded shoppers not wanting to compromise on the appearance of their beauty finds. Also, what makes them even better is the fact that there are refills available for them which not only help the environment but also your purse as they are cheaper than buying new ones each time! 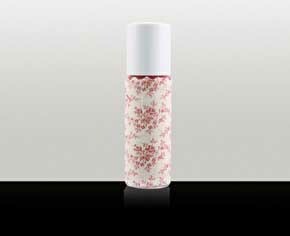 All the ingredients are sourced from ethical suppliers and a number of the ingredients are organic. Most importantly it states on her website that no ingredient or product has been tested on any bunnies! I can’t wait to place my first order and give them a try, I’ll let you know how I get on!